A resume, also sometimes referred to as a “CV” (Curriculum Vitae) should be a very essential part of your armory when applying for jobs. In fact, in many cases, your resume is the single deciding factor that comes to play in that job search as most recruiters are not so keen on interviews sometimes for the sake of impartiality or not in some other cases. Therefore it goes without saying that your resume has to be very professionally compiled or in the worst case very well written. So kindly keep this in mind while applying for that job and do let your friends know too, a resume without all or any of the above is total nonsense and will soon be thrown to the trash pile as quick as it was received. While writing your resume, make sure that it never gets mailed to the recruiter without the above details, especially your Contact Details considering that your recruiter will have no way of contacting you in the event that you do get the said job. A lot of people absolutely do not have an inkling of how to write an Objective for a resume. It is also known as a Resume Summary. And well, an Objective on your resume is a must if you have any interest in making it the perfect resume. An Objective or Resume summary should be a very short introduction that comes just right after the Contact Details. It gives a quick summary of your career progress and where you’re gunning for. It should not exceed three lines and should be straight to the point. A great resume should also definitely house your achievements/accomplishments as they’re for one going to probably impress your recruiter or in other cases simply portray you as a serious person, who’s handled other projects. Many people on the other hand wonder if hobbies and interests in a resume are not a tad too far. Well, for people who are applying for jobs with not many previous experiences, hobbies and interests which are similar or largely related to the job you’re applying for will definitely look great on your resume, otherwise just keep your hobbies to yourself. The recruiter will most probably not be interested if they’re not in any way related to the job you’re applying for. Another very confusing thing about writing resumes is the issue of what skills to put on a resume. Skills can in most cases be the most important part of your resume, so please don’t joke with them while writing. While applying for jobs, skills are divided into two basic parts and they’re Hard and Soft skills. Hard skills are those learned professionally while soft skills are in most cases self-taught and can be developed through hobbies. It is equally important to know that most recruiters today simply use the Applicant’s Tracking System (ATS) software to filter through their applications as they usually receive too many to start going through one after the other. This software is usually programmed to look out for certain keywords and you can be sure that if those keywords are used randomly as some of your skills, you’re definitely getting in. Some of these skills are Leadership, Communication, Research, Teamwork but to name a few. Most experts disagree on the subjects of references on a resume. While some believe that they should not be on your resume at all, some hold the contrary opinion that they should be a part of your resume. Most of the time, references have no business on your resume as there is a very high probability that your recruiter will not contact thousands of people used as references in different job applications. The best thing to do in this situation is to own a separate professional resume references page as most recruiters don’t bother to ask for a reference until later when your employment is a lot more secure. You should also know how to list references on a resume appropriately. Make sure to include the Name, Position, Phone number, email address and company or organization of your reference. You should on no occasion include your reference’s home address as this might amount to an invasion of privacy, although, on the other hand, there is a very high probability that your recruiter does not intend to pay your reference a home visit. Above all, always remember to tailor your resume to fit the particular job you’re applying for. A one size fits all is one of last things recruiters expect and will definitely get you nowhere. 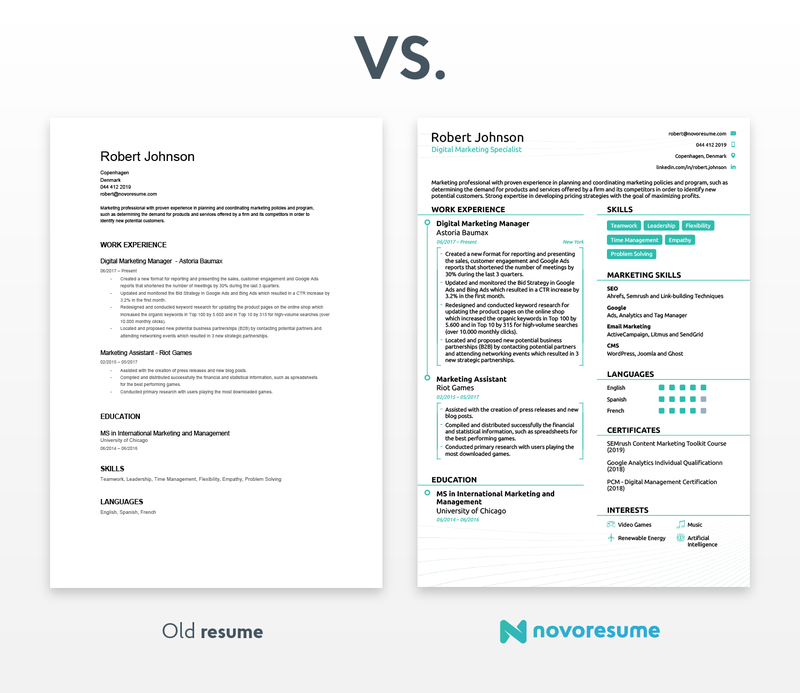 What Are the Best Resume Formats?